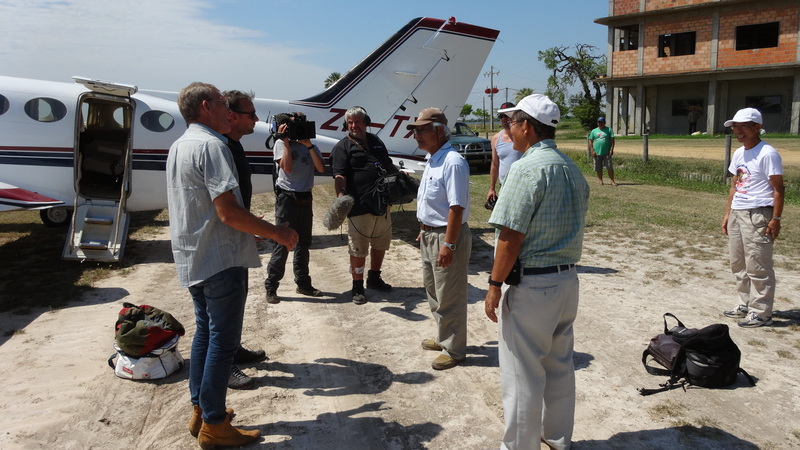 FFWPU Latin America: On October 7 to 8, a team of four people from Belgian national broadcasting which included a famous Belgian broadcaster, Mr. Tom Yvo Adrien Waes with other 3 crew members together with a Paraguayan tourist agency went to see Leda project and get the story of its development directly. How do they happen to come to visit us? We received a mail from Belgian TV and the Paraguayan travel agency that they want to visit us and film the nature and our projects in Leda in the beginning of September. We accepted their requests but we didn’t understand very well how they got to know our presence here. This time it became all clear. Belgian TV crew (national TV) made a plan to come to Paraguay for 9 days to film the interesting places to introduce this country. And they asked Paraguayan tourist agency to organize it. This Paraguayan tourist agency knew our place and wanted to include Leda. They were interested in Paraguayan Pantanal and at the same time they were interested how Moon’s group is living in such far and isolated place. They arrived around 2:30 in the afternoon on the Oct. 7th by charter plane from Concepcion. They ate late lunch and we showed around our buildings and swimming pool. They were very much astonished to see the solid infrastructure in the midst of the wilds. Then we showed fish ponds and the demonstration of harvesting fish with the nets from the pond. Afterwards they rode on the boat to film the sunset. It was very beautiful sunset which even we, ourselves, haven’t seen so often so they were very much satisfied. After dinner we showed a DVD about Leda projects. 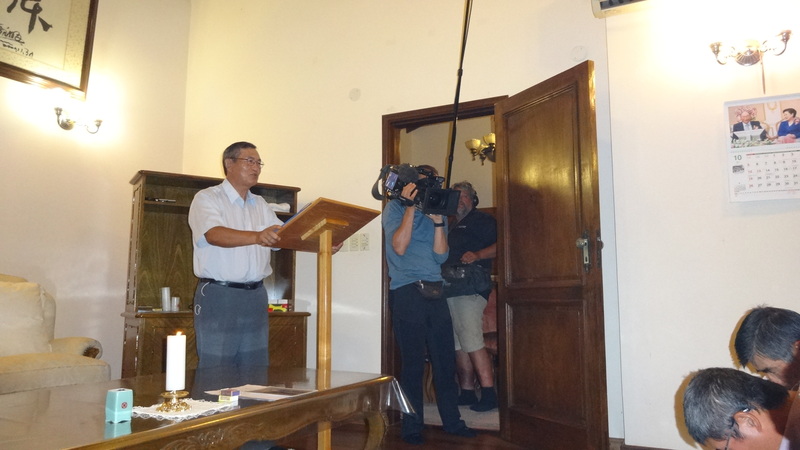 They asked many questions about Unification Church. They didn’t know so much about us. I explained to them that Rev. Moon bought a huge land in South America to make a model city here in this continent. I also explained about all works of Father, introducing his idea to unify the humankind, going beyond the differences of races or religions, through the international blessings. They were quite impressed and they wanted to attend HDK meeting in the next morning. It was Anshiil so we had a HDK meeting in the TP’s house and they all came there at 4 o’clock. They filmed all our service and we translated to the main caster of the contents of Father’s speech and Mr. Nakata’s comment about it. Mr. Nakata said that Father’s philosophy is to go to the most miserable place to bring God’s love. That is why Father chose here and sent us. Our mission is to change this most unfortunate and disadvantaged place to the supreme paradise. Afterwards they took the boat to film the sunrise and they were so impressed by a beautiful sunrise of this morning. 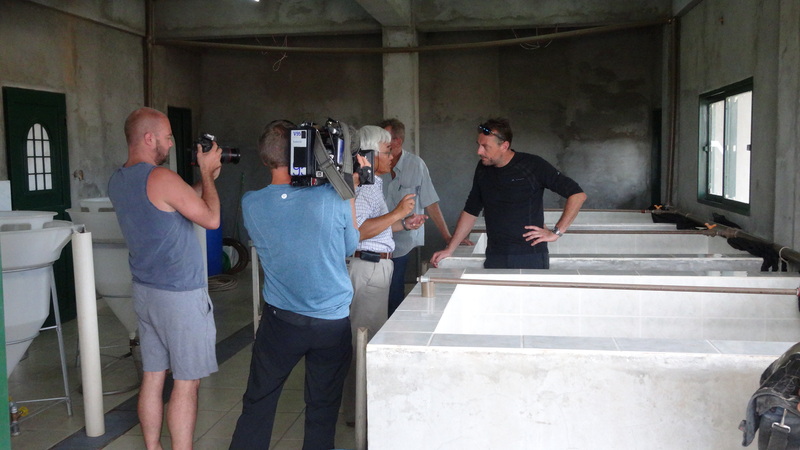 After breakfast, we showed them about our agricultural project, fish incubation laboratory, and sausage workshop. Then they walked around inside of our yard to film birds and animals, especially they were interested to film an alligator but unfortunately they couldn’t find any because the water level was high this year. After lunch, with much satisfaction they left for Asuncion, expressing sincere gratitude to our hospitality.